Likelihood and Bayesian analyses of the Murphy et al. (2001b) data set provide a well-resolved phylogeny for the orders of placental mammals that includes four major clades (Afrotheria, Xenarthra, Laurasiatheria, Euarchon-toglires). In addition, Laurasiatheria and Euarchontoglires are sister-taxa. 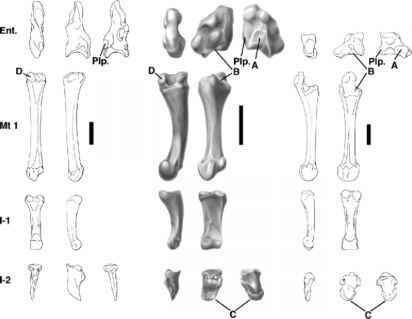 Among these clades, only Xenarthra was previously hypothesized based on morphology. This reorganization of the placental tree has implications for early placental biogeography and the deployment of morphological character evolution. Remaining uncertainties in the placental tree are confined to local rearrangements, i.e., unresolved trifurcations. In contrast to morphological studies that group Primates in Archonta, our molecular results suggest archontan diphyly with bats in Laurasiatheria and the remaining archontan orders (primates, tree shrews, flying lemurs) in Euarchontoglires. The latter clade is divided into Glires (rodents + lagomorphs) and Euarchonta (primates + tree shrews + flying lemurs). Future morphological studies that examine relationships among primates and their relatives should not blithely assume archontan monophyly as a basis for outgroup choice.